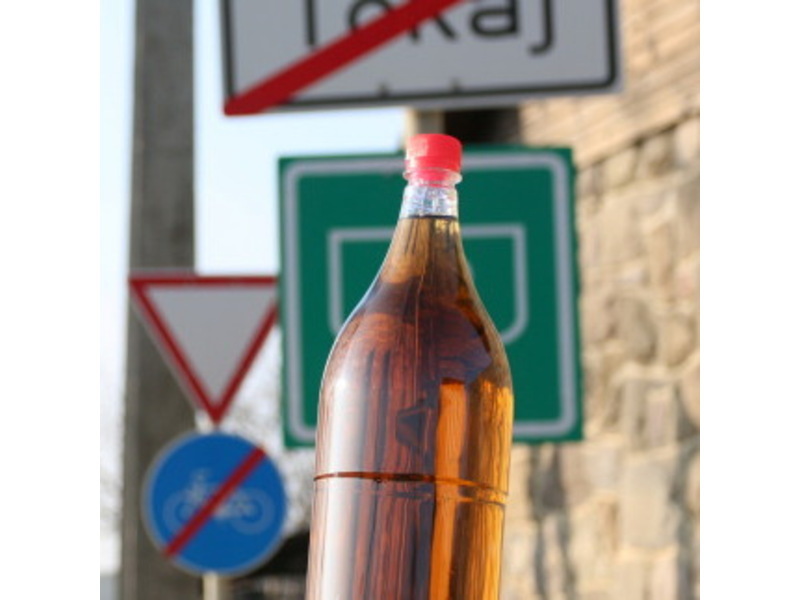 The local government of Tokaj town has passed a new regulation banning the display and sales of wine in PET plastic bottles in publicly owned areas within the limits of the town. For the overwhelming majority of plastic-bottled wines is of rather inferior quality and by no means worthy of the Tokaji name, the plastic wine bottle has long become synonymous with plonk. Entering into force from 1st January 2016, the new rule is a strong sign of the leadership of the region's eponymous town, newly elected in 2014, being adamant on clearing the streets of blatant advertising of plastic-bottled wines. While wine in PET bottles may still be seen on the shelves and shop windows of privately owned oulets, and even the same kind of wine, now filled in glass demijohns, may remain on display in front of shops, this move is still definitely one in the direction of diverting visitors' attention to the very best of Tokaji wines the town's quality-conscious winemakers have to offer. The example set by Tokaj town may well be followed by other regional municipalities during the year.